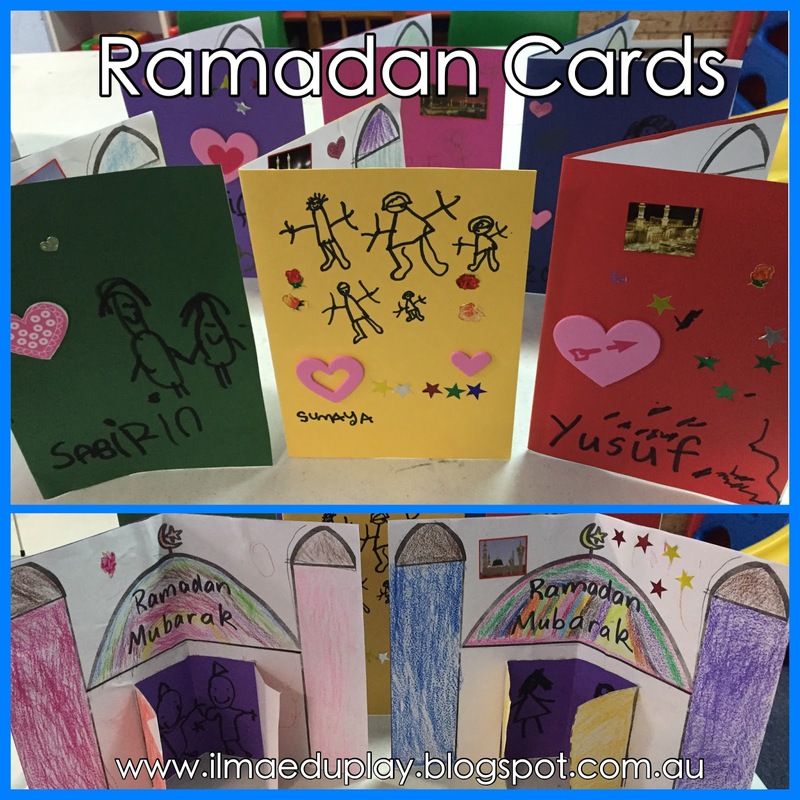 This year I hadn't planned to make cards for Ramadan but the children so enjoy making crafts that I had to include something for Ramadan. Sure enough, when they had finished making their cards, the childrn loved it so much that they wouldn't put it down. I allowed them to hang onto their cards for a little while longer until I had to take it off them for safe keeping until home time. 1. Print out the masjid sheet. 2. 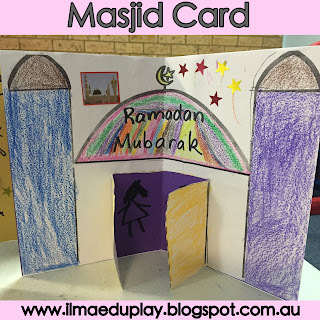 Colour in the masjid using colour pencils or crayons. 3. Carefully cut along the dash lines of the doors. 4. Fold the picture in half so that there is a crease (fold) that symmetrically runs down through the dome roof and door. 5. 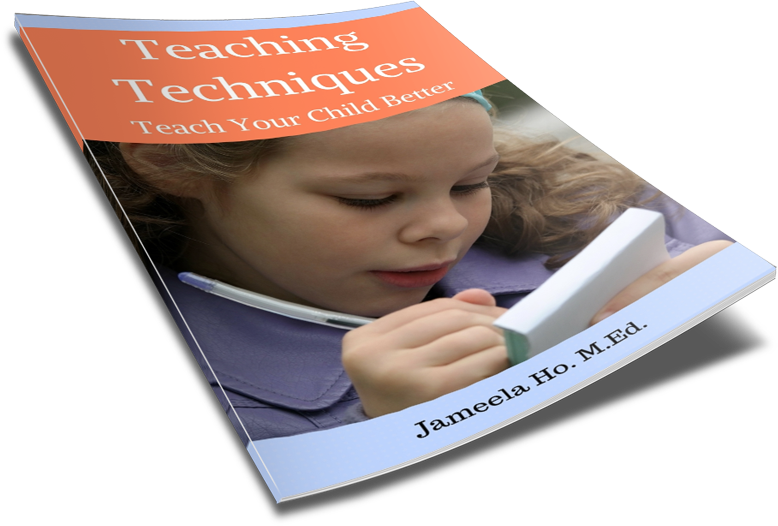 Select a colour cardstock and fold it in half so that it opens like a card. 6. 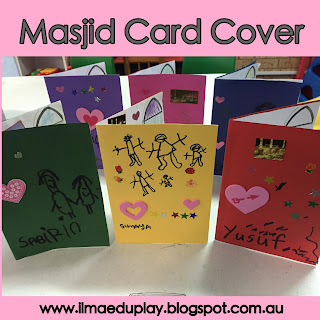 Put glue on the back of the masjid sheet (every where but not on the back of the doors) and place it on the cardstock. 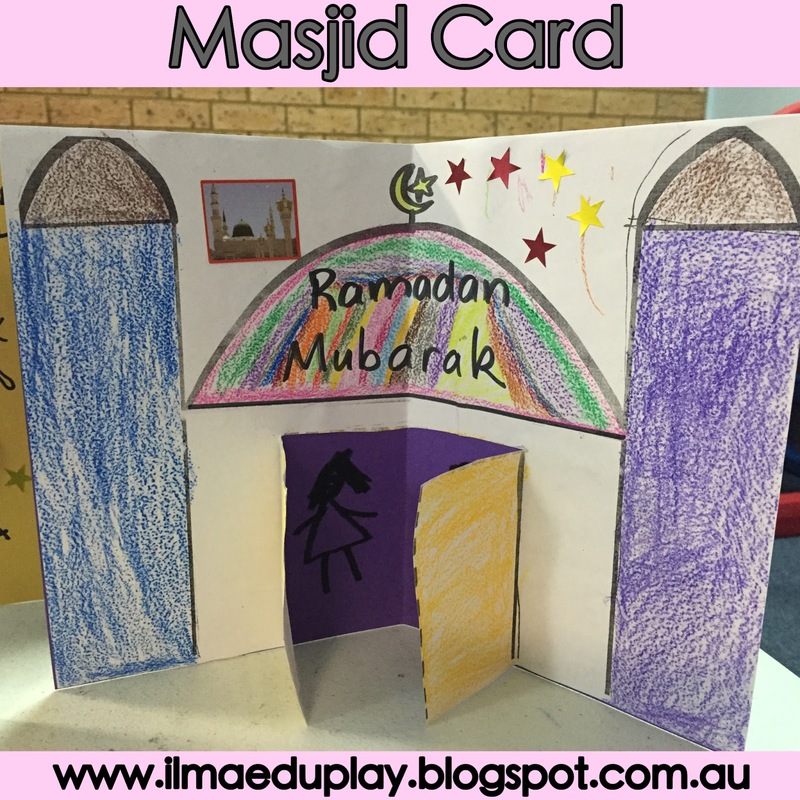 Make sure that you match the crease of the masjid sheet to the crease of the card. The double doors should open freely. 7. Use star stickers to decorate the sky and draw a picture of yourself and your family inside the masjid praying (behind the doors). 8. 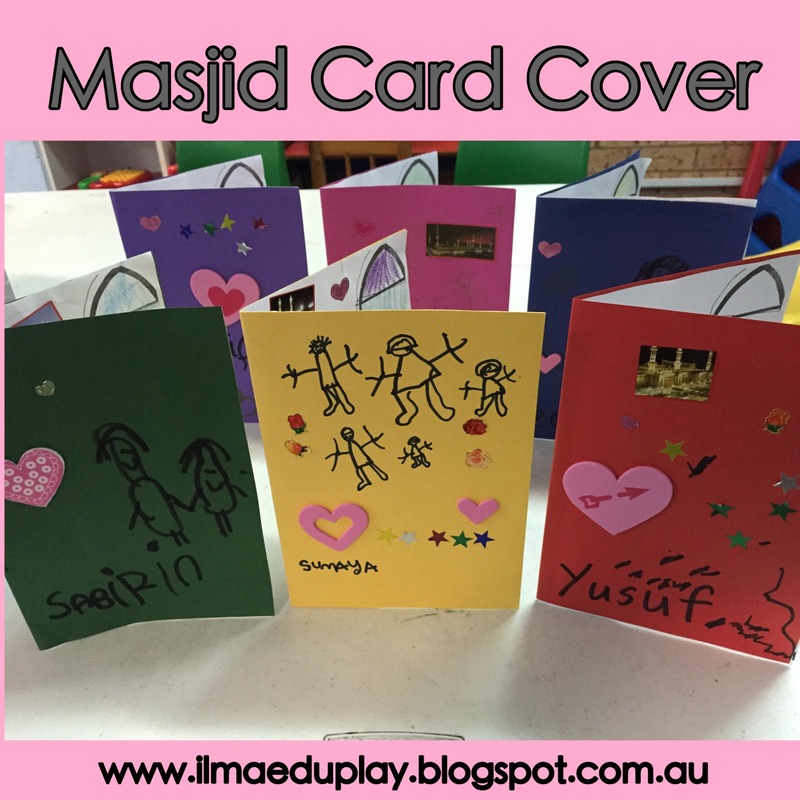 Close the card and decorate, draw and write a message on the front of the card. 9. 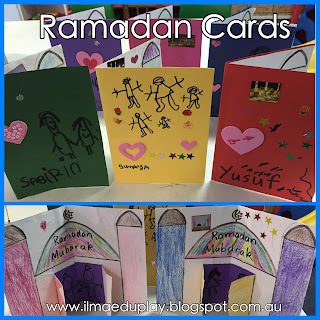 Give the card to someone to wish them a blessed Ramadan.